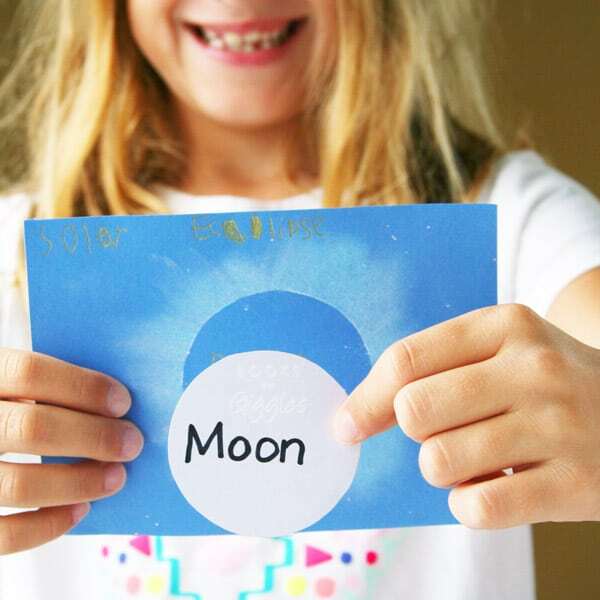 This solar eclipse craft for kids is fun and easy! We’re tuned in to all things Space here in Houston. My husband read about the total solar eclipse coming up on August 21st, and the kids were so interested that he started researching travel up to the part of the US that’ll be in total eclipse. I wasn’t all that surprised when it turned out to be too expensive for our family of 5, but it was fun to dream! We’ll have to settle for a partial eclipse here, and hope for clear skies. 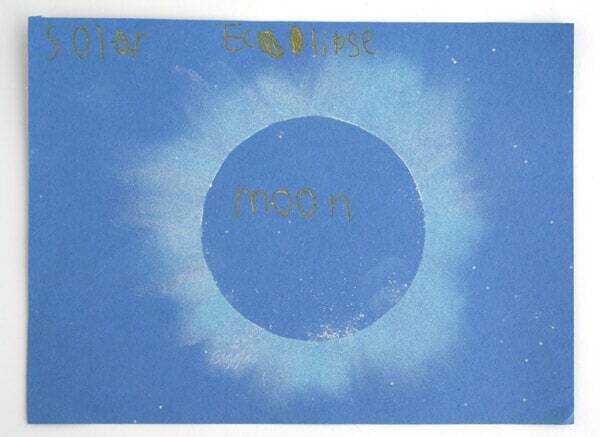 Meanwhile, we’re getting ready with this easy solar eclipse craft for kids. I got the idea from a Northern Lights art project my kids did recently. I searched for a source for it, but all I could find were these similarly awesome Christmas light art – which we’ll definitely be trying later this year. My kids ask so many science questions that I can’t answer. I have to admit, I was a little fuzzy on exactly what the position of the earth, sun and moon are during a solar eclipse. I knew that it was the moon blocking the sun, but didn’t understand all the moving parts or why you can only see it in such a narrow band across the Earth. 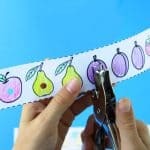 Cut out a circle for each child from the scrap paper or contact paper. Tape or stick the circle to the center of the construction paper. Trace around the circle template with a thin line of chalk. Color heavily with chalk on the edges of the circle template. Use a finger to spread the chalk out from the template onto the background paper. Make sure all the excess chalk is spread out or shaken off, and then remove the circle template to reveal the clear space behind it. Label with the metallic gel pen if you like. 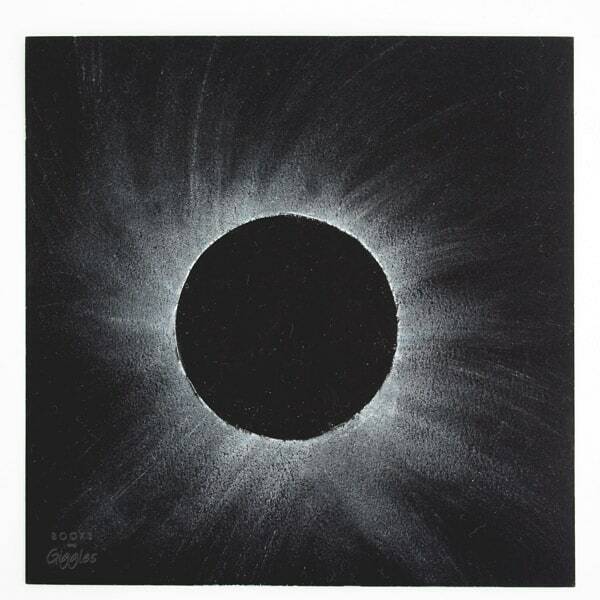 Since we’ll be staying home for this eclipse, I guess the next thing we need to try is a partial eclipse version of this craft! I think this is a great solar eclipse activity! 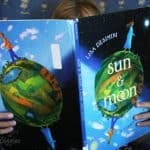 Pingback: Experience the solar eclipse with kids the right way! This is great! 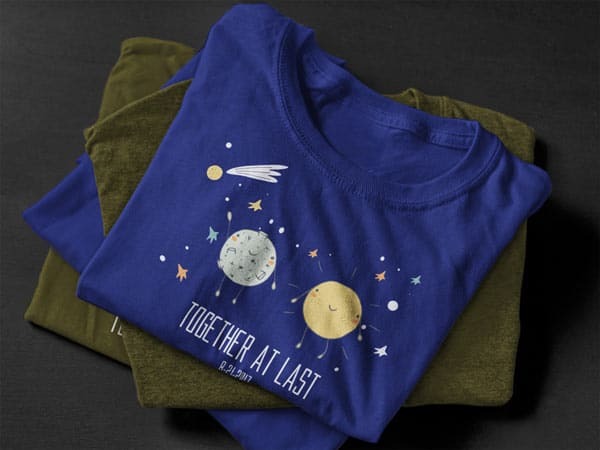 I am in the library in an elementary school so I will definitely be using some of these ideas – and I think I need to order the shirt for my kids. We are in a total eclipse zone – so you can come stay with me and my family! ? Glad you like it. I’m so jealous you’re in the path of totality! You’re sweet to toss out an invite. We thought about friends we could visit, and wish it were more practical for our family. There’ll be a total eclipse in Texas in 2024 – we’ll just have to wait. K-3 class will be staying in and your ideas are very appreciated! Pingback: Easy solar eclipse party ideas for a once-in-a-lifetime bash. Literally. Thanks for sharing Cant wait to try this with the kiddos! Since tomorrow is the “big day”, this will be a great activity to do my my summer camp students. Thank you! You’re welcome. I love hearing about others out their enjoying our craft! 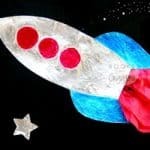 Great, easy craft for my kindergarten kids that I’ve only had for 4 days!! 🙂 THANKS! I’m so happy to help. Happy eclipse day! I live in Omaha and can’t wait till tomorrow. I work with preschoolers so I’m definitely going to do this project with them. I’m jealous of your location! Hope you and your kids enjoy it. We just did this this morning. It was easy and perfect for my 4-year-old! 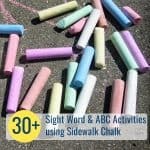 I love these activities!! I’ll try them with my grandson. Keep up the good work. It’s wonderful what you are doing. Keep on SHINING!! Spreading love and knowledge. By any chance do you have a lesson plan on this activity that you can share? My husband is already planning to go to Texas for the next one!!!! We live in Florida and what I saw was no big deal. No, but that’s a good idea. Maybe I will when the next eclipse rolls around 🙂 Thanks for asking.